+$Could this playful photography tool be Facebook's next viral sensation? +$Photos look set to get a whole lot more expressive thanks to a new piece of software developed in partnership with members of Facebook's computational photography team. +$The software, led by researchers in Israel, can take a portrait with a neutral expression and animate the facial features into different expressions. As well as photographs, the software is also capable of adjusting paintings. 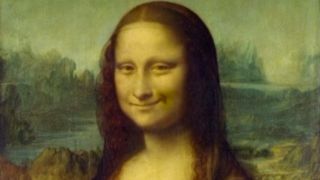 To see what the tool is capable of, just take a look at the Mona Lisa, above, which now sports a smirk instead of a coy smile. 一个+$video on the BBC news website+$shows off the full capabilities of the software. By using a filmed subject to map the facial features, the target image can have its expression adjusted in a variety of ways. +$What sets the software apart from some of theAdobe Sensei+$-powered image adjusting tools unveiled this week is that the portraits react in real time to the expressions pulled by the filmed subject. +$"We're transferring the fine scale details to the target face," Tel Aviv University's Hadar Averbruch-Elor tells the BBC. "We're hallucinating missing regions, most notably the mouth interior, which we don't have from the single image. +$"And also we're copying creases and wrinkles that are commonly associated with the expressions." +$Will we be seeing it on Facebook soon? +$The software isn't just limited to modern photos. It can also work on classical paintings and even emojis. Researchers involved with the project think that the tool could find a further use in VR to animate expressions. +$Thanks to being developed in partnership with two members of Facebook's computational photography team, it wouldn't be too surprising if the software ended up appearing on the social media platform before too long. +$With the BBC video showing how Facebook feelings such as 'like', 'love', and 'angry' could animate a photograph, the software could provide a new way for the social media site to grab a user's attention and get them interacting.